Spring is in the swing of things, and nothing sees the new season in quite like a fun family picnic in the great outdoors. Whether you’re looking for a family-friendly spot or a private picnic for two, Cape Town has us spoilt for choice with its variety of picnic hotspots. Always a winner, Green Point Park is a firm favourite among locals as a picnic spot. Miles of lush lawn invite families to run, play and explore together in a safe, quiet environment. Kids of all ages will love the well-maintained play areas while parents watch from nearby. Be sure to also explore the park’s beautiful biodiversity garden and water features. 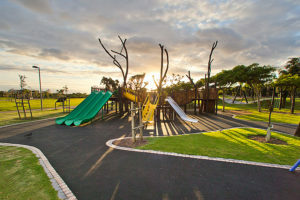 Green Point Park is also ideal for birthday parties! Simply bring along all your picnic goodies, party gear and decor and set it all up at one of the convenient table and bench areas. Entrance is free, there is ample parking and your fur babies are allowed too. Picnic AND a movie? Sounds like a fun family night out to us. 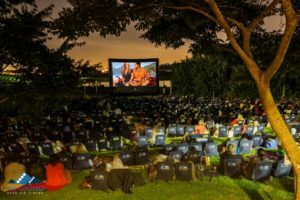 The Galileo Open Air Cinemas around Cape Town are set in gorgeous locations around Cape Town. Cinema locations include Bloemendal Wine Estate, Kirstenbosch Gardens, the V&A Waterfront and Kelvin Grove. Your picnic goodies are sorted when you order a yummy picnic basket that includes a healthy wrap (chicken, tuna, or vegetarian), popcorn, chips, chocolate, fruit and a soft drink. Venues are open from October to April every summer, so be sure to keep an eye on their website for screening updates and more. Tables at Nitida offers the kind of outdoor tranquility every family needs. 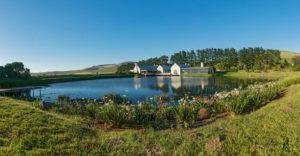 The Durbanville winelands are a little slice of paradise, just a few kilometres outside the centre of Cape Town. Kick back with your loved ones on the lawns near the dam with a couple of Nitida’s perfectly prepared picnic baskets. The baskets contain mouthwatering tapas, a selection of Mediterranean dips, preserves, breads, salads, cheeses, cold meats and something sweet for dessert. A bottle or two of Nitida’s award-winning wine will be the cherry on top of what is sure to be a delicious feast. Kids picnic baskets can also be arranged for the little ones. 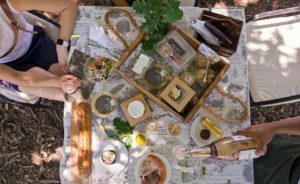 If it’s a delicious, stress-free gourmet picnic you’re after, look no further than Boschendal Wine Estate. Pre-order your picnic basket online (a feast for 3 to 4 people and worth every penny), and collect your basket on the day. Baskets are filled to the brim with naturally grown produce from Boschendal estate, including locally made preserves, pates, salads, cheeses, breads and more. Grab a picnic chair or cushy bean bag and find a spot under a shady tree. If you’re in no hurry to get home, grownups can enjoy outdoor wine tasting at one of the on-site cellars for a post-picnic treat. Eden on the Bay is one of those rare locations that offers something special for everyone, even your fur babies! The lush, rolling lawns overlooking the bay are ideal for family picnics. A hop, skip and a jump away from Big Bay beach, the Eden lawns offer the perfect view of Table Mountain in all its splendour. Entry is free and kids can run and play to their heart’s content. Families can enjoy ice-cream from a nearby ice cream parlour, sundowners at one of the great restaurants on the strip, or even a fun family bike ride along the bay. Free underground parking is available, and you can get all your last-minute picnic goodies at the mall.